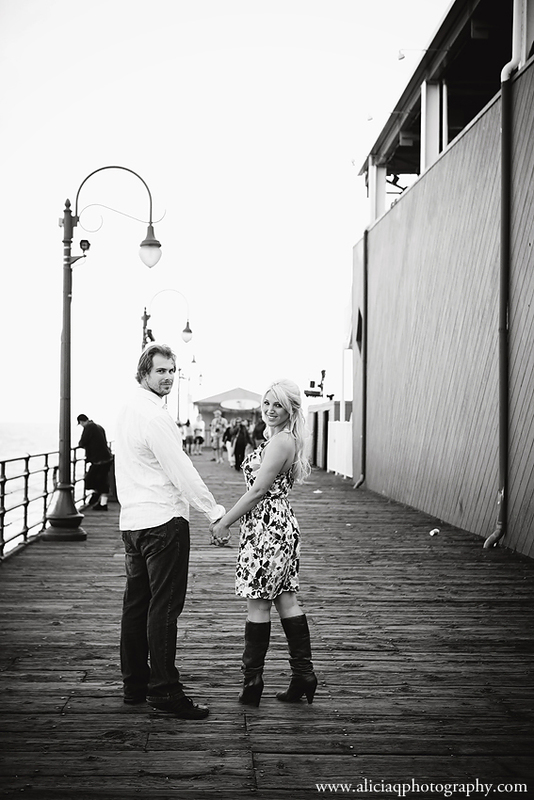 I met Amanda and Bruce in Santa Monica for their engagement session on a very busy Sunday night. I was running on no sleep since the day before, and admittedly, I was a little sluggish. L.A. traffic and the parking situation in Santa Monica almost brought me to tears. Thank goodness for this awesome couple. We had so much fun that I totally forgot that I was tired and hungry. Here are some of my favorite shots from their engagement session. Their wedding blog post is up next, so stay tuned!